If you’re reading this article, you’ve probably recently purchased a new mattress (or are considering doing so). Not it’s time to find the best way to make it last as long as possible. You might not think it at first, but there are a lot of ways you can actually be damaging your mattress while trying to clean it or otherwise prolong its life. 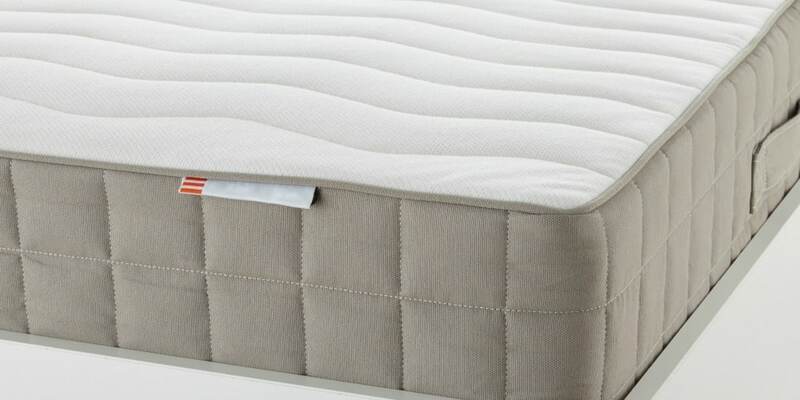 With that in mind, we’ve put together the following list of helpful mattress care tips to make sure your new bed delivers the best possible return on investment. Most people don’t remember to do it, but your mattress should be vacuumed every time you vacuum your bedroom rug or carpet. Dead skin cells, hairs, and dust mites don’t take long to seep through your bedsheet and into the top layers of your mattress, but you can drastically cut down on the volume of grime that makes its way into your mattress simply by vacuuming its surface regularly. Regarding cleansing agents for stain removal, you should never use dry cleaning agents or other harsh spot remover products on your mattress. Instead, it’s recommended that you use foamy suds from dishwashing liquid (or dry suds) to gently wash away stains without soaking the stain in any type of liquid cleanser. For the same reason that most people wouldn’t keep their living room sofa covered with a permanent bed sheet or plastic cover, some folks aren’t too keen on the idea of draping an awkward mattress protector over the delightfully soft and silky smooth surface of their new bed. Nevertheless, mattress protectors can be quite helpful in preventing inevitable stains from ever occurring in the first place. When shopping mattress protectors, the most important thing to remember is to choose one that has good breathability. Waterproof mattress protectors will often be made of non-porous materials that will cause you to sweat throughout the night, so be careful to choose a material that allows natural airflow through your mattress as intended by the manufacturer. Just as you wouldn’t want to build a brand new house on top of a poorly laid foundation, you also don’t want to haphazardly set up your new high-quality mattress on a run-of-the-mill bed frame. By selecting a bed frame that has 5 or 6 legs and is supported by a center bar, you ensure that the mattress foundation won’t begin to bow inward over time. This bowing inward of your foundation will be accompanied by the same bowing inward of your mattress, which will inevitably cut the life of your mattress shorter than you had hoped. How Long Does the Average Mattress Last? This question is not that much unlike asking how long the average new car will last. While the variance between brands like Toyota and Chrysler is arguably measurable (at least historically), in general, most new cars are expected to fall within the same range in terms of maximum mileage before they fall apart. The same is true in the mattress business, in which case the Better Sleep Council recommends keeping a mattress no longer than seven years before you buy a new one. That’s not to say, however, that your mattress can’t last significantly longer with proper care. After all, it’s not unusual to see new mattresses selling with 10-year warranties these days, and some mattress manufacturers stand behind their beds even longer than that. A majority of Sherwood Bedding mattresses, for example, are covered by a comprehensive 10- to 20-year limited warranty that protects your new bed from any manufacturer defects throughout the life of your bed. We are proud to back every product we make with the best mattress warranty available in the industry, which we can only afford to do as a result of how confident we are that we construct the best quality mattresses in the industry. Visit one of our retailers in your area today, and you’ll quickly see what sets our beds apart from the competition.